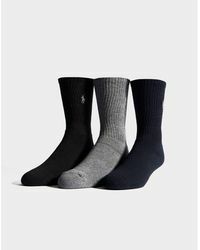 No outfit is complete without a great pair of socks, and men's Polo Ralph Lauren socks will bring a new level of luxury to your everyday ensembles. 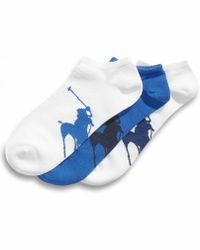 Since its inception in 60s New York, Polo Ralph Lauren has become the ultimate destination for refined, collegiate, all-American sportswear, and today its collections are as sophisticated and elegant as ever. 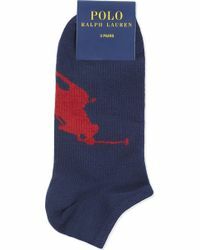 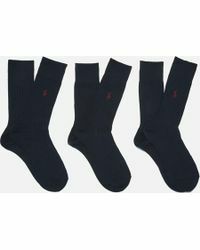 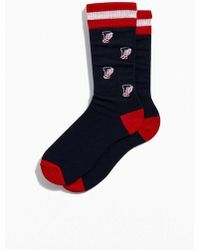 Men's Polo Ralph Lauren socks are beautifully crafted in super-soft cotton or comfortable wool, and delicately embroidered with the iconic Polo logo. 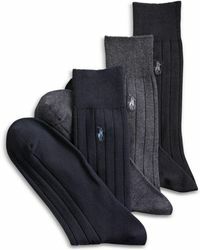 In a wide range of colors and eclectic patterns, there's a design here to suit all formal and casual outfits.